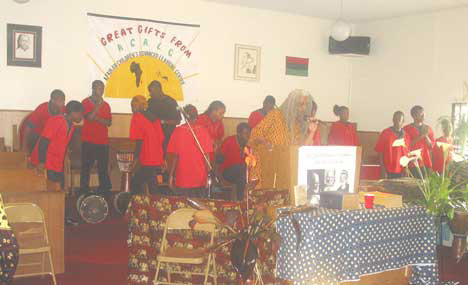 An educational program of the Pan Afrikan People's Organization (PAPO), A.C.A.L.C. is designed to instill academic excellence, discipline and positive self-esteem through tough love and a focus on African-centered values. The school's goal is to create independent thinkers capable of providing leadership and development for the Black Community and the nation at large. The children are taught to respect God, the ancestors, elders, parents and each other. The curriculum is geared to advance the ability of the child through individual academic plans and African-centered scholarship. Preparation for higher learning and service to the community are the vanguard of our philosophy.